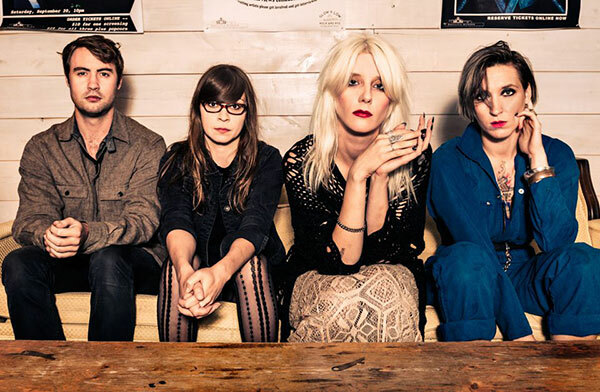 When high-energy indie-punk rockers White Lung got together with producer Lars Stalfors to begin work on their new record ‘Paradise,’ they made it clear that they were after a sound that was more than a mere simulacrum of the punk rock of yesteryear. “They were very clear that they wanted something new and modern,” Stalfors says. “They didn’t want something consciously vintage sounding, they wanted a big sound that took advantage of all the technical resources they had available.” To achieve the sound of the today, Stalfors turned to a modern take on a classic, the BAE Audio 1073MP and 1073DMP preamplifiers. Stalfors prioritizes keeping the flow of his sessions going and tries to spend minimal time on gear decisions: that’s why the BAE Audio 1073 fits perfectly into his workflow. “There’s nothing more than a time kill or a vibe kill than doing a mic pre shootout,” Stalfors says. “That’s why I use the BAE 1073 on everything, I know it sounds great and it’s going to work in the mix.” Stalfors also appreciates the reliability and predictability of BAE Audio gear, which is handwired in California. “I don’t particularly care for vintage gear because of the temperamental aspect of it. My worst nightmare is when I’m at a studio and they’re like ‘you should try all the mic pres, they all sound a little different’. I just want the best sounding one, and the BAE Audio preamps are exactly that,” he says.